Click here to learn how to create a member's account from the dashboard. Because this is a fake email address, any time that you send an email to this account from your Farmigo dashboard, the email will bounce back into your inbox. 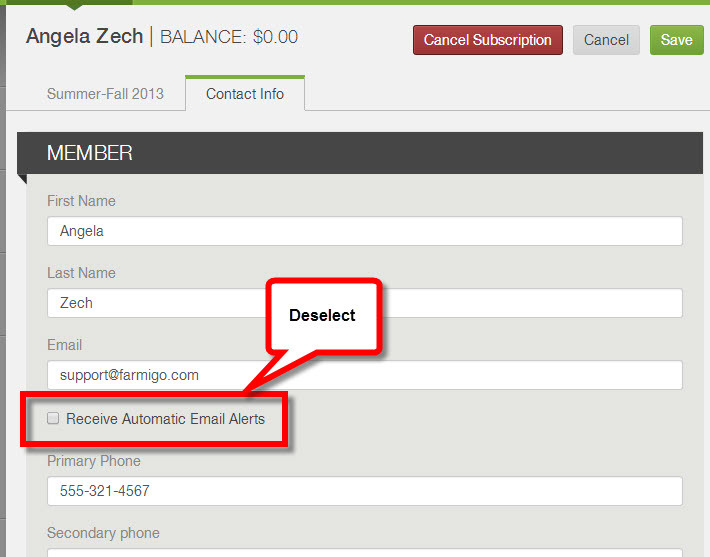 To limit these bouncebacks, make sure that you deselect "Receive Automatic Email Alerts" under the Contact Info tab of the member account. Yes. I found the information I was looking for. Somewhat. I found some of the information I was looking for. No. I did not find the information I was looking for.